As students start planning for Fall 2019 courses, clubs, and all other challenging and creative aspects of Swat life, a new opportunity has appeared on the horizon for the Swarthmore College dance department. Doug Varone & Dancers, a renowned dance company based in New York City, will not only be in the Cooper Series dance performance, but will develop the performance as a collaboration with Swarthmore dancers. It will be arranged by the Swarthmore dance department and Professor Stephanie Liapis, who danced with the company for many years, with Doug Varone & Dancers acting as a residency company at Swarthmore. The Cooper Series Foundation brings speakers and performances in the arts, politics, sciences, and education to our campus. Each year, the dance department has one guest Cooper Series performance. This February, the world-famous Hubbard Street Dance Chicago performed to a packed audience in LPAC. The Cooper Series dance company typically gives both a stunning, full-length dance performance and a series of masterclasses taught by company members and choreographers. The performances and classes are both exciting and beneficial for Swarthmore dancers, who get to experience the movement and choreography of the guest artists. While masterclasses taught by professional dancers are usually offered in big cities for a large sum and dancers are stuffed into a studio like sardines are squeezed into a can, Cooper Series masterclasses are free, small, and uniquely personal. Dance masterclasses at Swarthmore classes provide special and detailed attention. Next fall’s Cooper Series dance performance, “in the shelter of the fold” by Doug Varone & Dancers, will have an extraordinary plot twist: one of the company’s repertory works, Mass, will be performed by a group of twelve Swarthmore dancers. Liapis will be setting “Mass” on these dancers in the class Dance Ensemble (DANC 80) this fall. 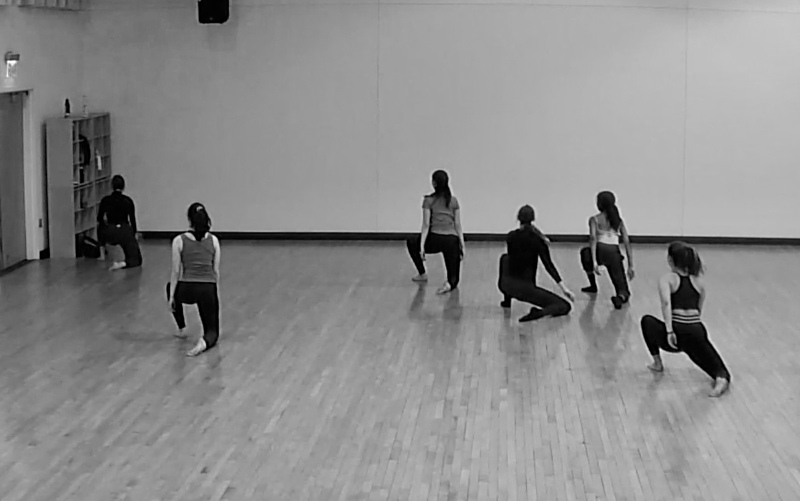 The student dancers will then perform “Mass” both in the Cooper Series performance with Doug Varone & Dancers and in the Fall 2019 dance concert. This incredible opportunity is a semester-long commitment, giving Swat student dancers a taste of what it is like to be in a professional dance company. Members of Dance Ensemble will have two three-hour rehearsals each week, as well as an intensive weekend to learn choreography at the start of the semester. Dancers selected to perform in the Cooper Series will spend that week in technical preparation and rehearsing with the company. The Varone experience will give students interested in pursuing concert dance real taste of life in a professional concert dance company. After teaching each combination, Liapis had dancers perform in groups of four. Each group danced the excerpts from Mass twice, then switched positions to allow different dancers to stand in front each time. Liapis filmed each group to send footage to Doug Varone, who will make the casting decisions based on the filmed auditions. 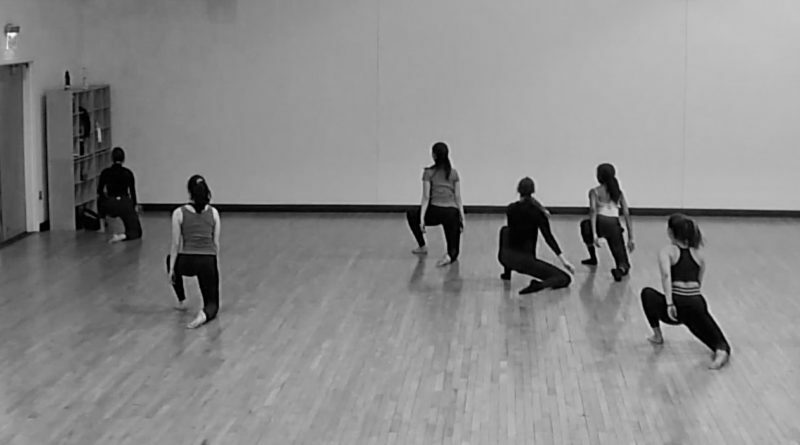 Although Mass is choreographed for only twelve dancers, Liapis’ fall Dance Ensemble class will have varying levels of commitment and opportunity ranging from full performance to understudy. Liapis plans on having many different roles and positions in order to give as many students as possible an opportunity to learn, stretch, and grow. The collaboration between Swarthmore and Doug Varone is a unique opportunity that allows students to participate in a dance company incubator. For students who chose between their education at Swarthmore and pursuing a professional dance career immediately out of high school, Doug Varone’s residency at Swarthmore provides an incredible opportunity to experience what company work and concert dance is like while remaining in college. For those who remain certain that they would like to pursue concert dance after graduation, the connection with Doug Varone and his dancers, who also create their own works, provides opportunities for the future.